St Paul’s Woodland Garden has won first prize the national Green Health Awards it was announced today. The awards took place at Lambeth Palace during Green Health Live, a conference for professionals and others interested in the healing potential of green space. Our prize was a one off grant of £2000, along with gardening gloves provided by the Worshipful Company of Glovers, seeds and recycled tools. 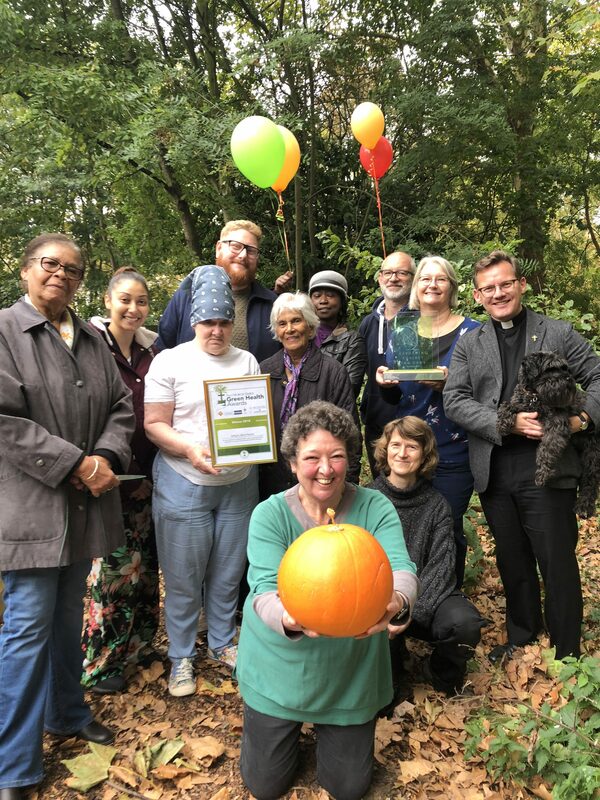 The new awards, an initiative by the Church Times, celebrate the efforts made by churches and Christian organisations to use gardens and churchyards creatively for well being. 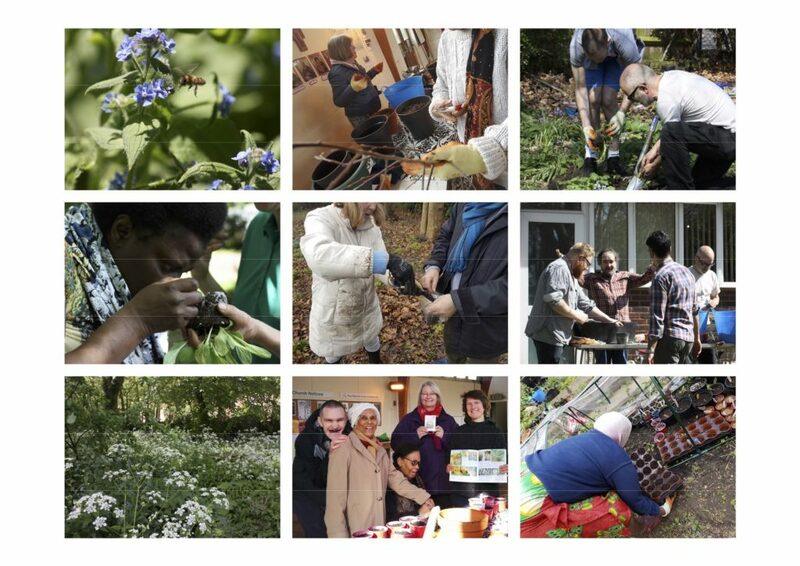 Run by St Paul’s Church, Camden Square, the project offers some of the most vulnerable members of the local community – those experiencing social exclusion, or mental or physical ill-health, an opportunity to come together to engage in activities related to gardening and conservation with all the benefits that green space can bring. The project is delivered by Green City Projects and supported by members of St Paul’s congregation and the wider community. Tilly Williams, Psychology Lead for Rehabilitation, Recovery and Rehabilitation Division, St Pancras Hospital. St Paul’s Woodland Garden would like to thank The Friendly Hand charity and The Tesco PLC Bags of Help scheme, for their generous support for the programme. The Church Times article reporting the award can be found here. St Paul’s Woodland Project runs on a Wednesday morning. If you would like more information, please contact Fr James Elston on email or telephone 0207 424 0724. To make a donation to this project click DONATE button below. Fundraising, payments and donations will be processed and administered by the National Funding Scheme (Charity No: 1149800), operating as DONATE. Texts will be charged at your standard network rate. For Terms & Conditions, see www.easydonate.org.